Diversity is something of a Twin Cities calling card. Museums throughout the metro showcase state-of-the-art inclusion, exhibits and forums, including such venerated venues as the Minneapolis Institute of Arts, Minnesota History Center and Weisman Art Museum. Impressive as these establishments are, it is vital to have an institution devoted specifically to one’s culture. 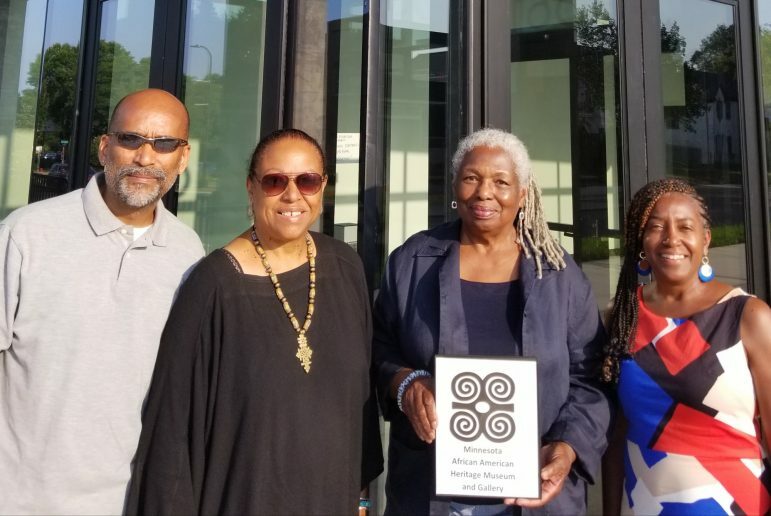 The Minnesota African American Heritage Museum and Gallery (MAAHMG) stands to admirably fill that bill for African Americans. Tina Burnside, museum co-founder and civil rights attorney, notes, “Minnesota is one of the few states in the country that does not have an African American museum. That had to change,” she said. Toward that end, she has partnered with writer and education administrator Coventry Cowens to open the new museum’s doors Saturday, September 8. Its inaugural exhibit, Unbreakable: Celebrating the Resilience of African Americans in Minnesota, is set to showcase pioneers who settled in the state and women who made their mark on Minnesota and on America, highlighting the impact of the “Great Migration” on Minnesota. More than six million African Americans moved from the rural South to the North, Midwest and West from about 1916 to 1970. Driven by impoverished segregation, they saw a need for industrial workers that first arose during the First World War as an opportunity to better their lot in life. “We wanted to tell the African American experience in Minnesota from the beginning,” explained Burnside. “Most people think African Americans came to the state in the 1960s, so we felt it was important to start with early settlers and pioneers. The museum will also pay homage to African American war veterans. “We wanted to pay tribute to African Americans who served in the military during a time when it was segregated, and show their bravery in fighting for freedom yet still being denied such freedoms at home,” said Burnside. This is not the first organization to embark on establishing an African American museum in the Twin Cities. The most recent effort by another organization, however, was beleaguered by financial struggles and work disputes before it could even open its doors. Burnside and Cowens also plan to avail the Minnesota African American Heritage Museum and Gallery of other resources. They hope this includes the “TESTIFY: Americana from Slavery to Today” exhibit curated by the Diane and Alan Page Collection, which was hosted at Minneapolis Central Library in January. “We have reached out to Justice Alan Page and Diane Page to have a conversation with them about the museum and seek their support for the project and input,” said Cowens. The Museum will also host a children’s literacy and reading circle on Saturday mornings, an obvious boon for African American youngsters. Does it not benefit other children as well, including recent African immigrants who, over the past decade or so, have become a significant presence? “We want everyone to come to the museum and the reading circle,” reflected Burnside. “Everyone is welcome. We believe it’s important to get children interested in books and reading to stimulate their imagination, and develop language and listening skills. 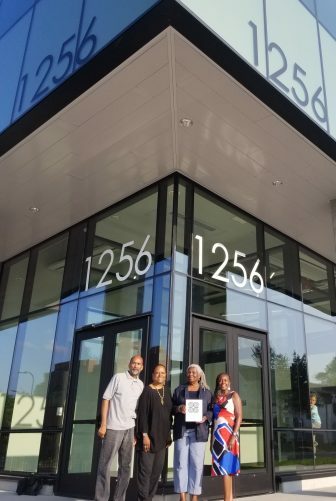 The Minnesota African American Heritage Museum and Gallery is located at 1256 Penn Ave. N. in THOR Companies’ new headquarters in Minneapolis. It will celebrate its grand opening September 8, 9 am to noon, and will operate Tuesdays, Wednesdays and Fridays, 1 pm to 5 pm; Thursdays, 1 pm to 7 pm; and Saturdays from 9 am to 12 pm. Admission is free and open to the public. As a History Teacher, I really am looking forward to visiting the African American Museum. Thank you, thank you. I lived in MN for 35 years and witnessed the many starts of the various museums. I look forward to coming in May 2019 to visit. Congratulations in getting this one up and running. Gloria Winans. Deltona FL. I am so excited to hear this as I have been waiting for years and hope to be at the opening! As a former Board Member, of the Charles H. Wright Museum of African American History, in Detroit. I am ecstatic, to learn and hear about the history of African Americans, will continue to be shared, told and exhibited for everyone to experience. I can’t wait until it opens. I am not a Native Minnesotan but I am a lover of history, my history. I thought that I would get the opportunity to see it exhibited on a couple of occasions, when in 2003 Leola Seals attempted to open an African American Museum and Culture Center in Minneapolis North and then again in 2012 when Roxanne Givens purchased the Coe Mansion in South Minneapolis to have a home for the Minneapolis African American Museum. Are these two women a part of or somehow involved in this latest effort? Let us not allow this latest endeavor to be silenced as was the previous attempts for whatever reasons. Anyway, looking forward to the exhibits and information. There is nothing more powerful than her-story and history! I will be at the opening with a joyful kindred spirit and will support this venture in every way possible! Whatever work you have displayed for the community and others to view is greatly appreciated and I honor you for your endeavors in completing this awesome project. I look forward to gaining knowledge about the movement of my people to Minnesota. What happens when one discovers, or is able to verify our glorious past via a museum of fact and artifacts can be very empowering and uplifting! I am so glad you were able to succeed where other have tried. I plan to come to the exhibit the first chance I get. I am an amateur African-American Historian (my second life after practicing law for 41 years), and I give presentations (for the post-education of most of us who were not taught real American history in school) for the Minneapolis Public Schools Adult Enrichment program. Actually African Americans have been in Minnesota since at least the 1700s, as they were slaves used in (and were the backbone of) the lucrative fur trade. I cover a period from 1492 (yes, there were Black traders competing with Columbus and others quite successfully) to 2018 with a slide show presentation. I also give presentations explaining why America is where it is today because of the apartheid (white supremacist) form of social and governmental structure the country was built on. We (everyone) is in dire need of knowing their true history. Thank you for all that you have done and are doing.